I was graciously asked to participate this summer in a campaign to raise awareness of a disease called Meso-thel-i-oma. I needed to sound it out a few times and practice it aloud more times than that before I could roll it off my tongue. I had never heard of it before. But I did know that Asbestos was a problem and could harm people's health when they were exposed to it. Now I understand more about the disease because someone helped spread the word. I jumped on board. I wanted to help because it's one of those things in life that really gets me thinking about how some choices just don't make good sense. Some people may still be building with it, even though we now know how deadly it can be. 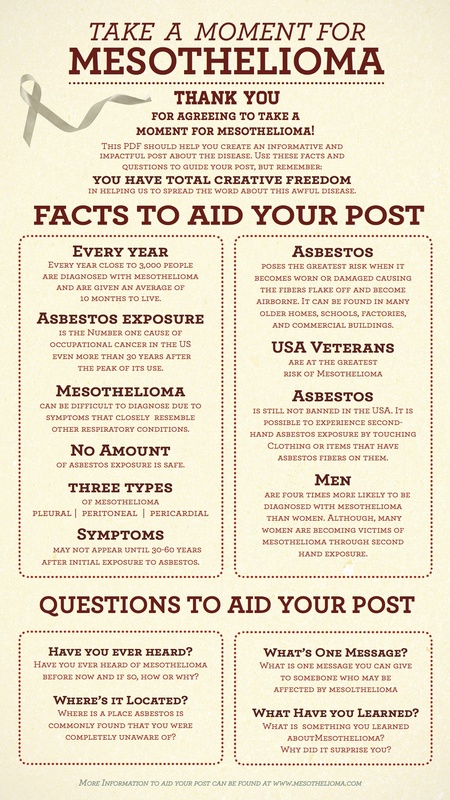 Please refer to the Mesothelioma Cancer Alliance for more information. This weekend I went to The Art of Feminine Presence and I was wowed! A heartfelt thanks to the women who joined the experience and willingly opened themselves to the awesomeness of their femininity and power! I had an aha moment within the first hour of the process. As we were practicing a fun and enlightening walking exercise, I passed a woman whose name tag read "Laurel". What!!! Another Laurel? This had never happened before. In my nearly 57 years of life, I had not yet shared the space with another Laurel. I was jolted and became acutely aware of something in that moment. I cannot rely on my name as a way to make me unique or stand out. In some subtle yet deep way, this was what I had been doing. I considered myself "special" because no one else had my name. Yikes. (I feel embarrassed just writing this). What flashed into my mind is that I need my voice to let everyone know who I am, how I am unique and what I stand for. I will not rely on "Laurel" to get the job done any longer. If you have been reading my blog for a time, you know that I do have a voice and I stand for a few things. What do I stand for? I stand for people knowing and loving themselves and valuing their unique gifts. I stand for finding the contribution that only you can make to the community of our humanity, the contribution that brings you joy. I stand for demonstrating kindness and respect, honesty and courage. I stand for discovering and claiming the essence of self, and dedicating to that experience. I stand for living in your deepest truth and aligning your life with that wisdom. I feel solid in my inner power because my life is a testimony to what I stand for and my voice aligns with all that I stand for. On this lifetime journey of all that I stand for, I am not done using my voice in a powerful way. In fact, I may just be beginning :) And most importantly, the experiences that push me beyond my comfort zone - so that my comfort zone becomes greater - are the ones that open the doorway to discovering more of myself. As I stood before others and was held lovingly and appreciated fully, I started leaning into a stronger determination to claim more of who I am becoming. If you are interested in exploring your authentic self and leading your life from the inside out, consider attending my program this spring. http://www.youtube.com/watch?v=61U7v-Y8E_U How are you doing in creating a life you love? There are actually practical steps you can take and new habits that are essential to form if you want to succeed in your creation. Here is a great video that talks about the importance of holding your vision as well as your ability to identify the details of it all in order that you can successfully bring it into manifestation. http://www.youtube.com/watch?v=aqX5IFKYFWk Our culture conditions us to think excessively. The benefits of learning how to quiet your mind, becoming more connected to your full being, are infinite. That's one of the reasons I practice daily meditation, to become less attached to my thoughts. The truth is - your thoughts are what create most of the anxiety that you experience. Your thoughts can drive you crazy - literally - if you let them! Or clear, directed thinking can help you build a life of joy and peace. You decide. Today's video supports you in changing one of the worst culture habits you can experience, until you decide to direct your mind consciously. http://www.youtube.com/watch?v=u58LCcxAEaA This month I am sharing links to videos that can help you create masterful habits. Everyone who connects with me knows that I am a big proponent of meditation and the powerful transformation this practice allows in your life. I meditate for an hour most days, which sounds like a lot. Deepak invests even more time than I do :) Here are great tips for helping create the meditation habit. Want healing, happiness and peace? Meditate! Here is a short video that helps to identify the benefit in moving towards your inner distress rather than denying or ignoring it. Pema talks about the importance of watching your mind as the source of your suffering rather than the past, or the events themselves. I love writing about this topic! http://www.youtube.com/watch?v=iKPGnW6N_rY#at=544 This month I am posting my favorite videos about healthy habits. Here is one from Kate Northrup. Kate is Dr. Christiane Northrup's daughter! She is coming out with a new book about money soon. I love Kate's energy. She has some practical tips on how to raise the bar of respect for money in your life, causing you to be more conscious of how you are handling the money that you do have. Here is part 2 of my talk with Kinlen Wheeler about dealing with your shadow side in a constructive way in relationships. We talk about intimacy, self-love, healthy emotional boundaries and self-reflection! OKAY - here it is - sorry for the unfinished posts before this! I am STILL having trouble with my publishing. Oh my! I hope you enjoy this video post! Kinlen Wheeler and I discuss the way our inner self craves a partner in the world to hold us and love us well but often struggle to create that experience with another. In this video we talk about the need to feel full and loved regardless of whether we are in a primary relationship or not. We talk about co-dependency and the way our culture pushes us to look outside ourselves to get our needs fulfilled rather than finding that inner fulfillment from self-understanding and knowledge. Here is part I! I'd love to create a dialogue with readers about any challenges you are experiencing in your primary relationship so that we can collectively consciously transform these important relationships into places where we learn to thrive in fulfillment and comfort.